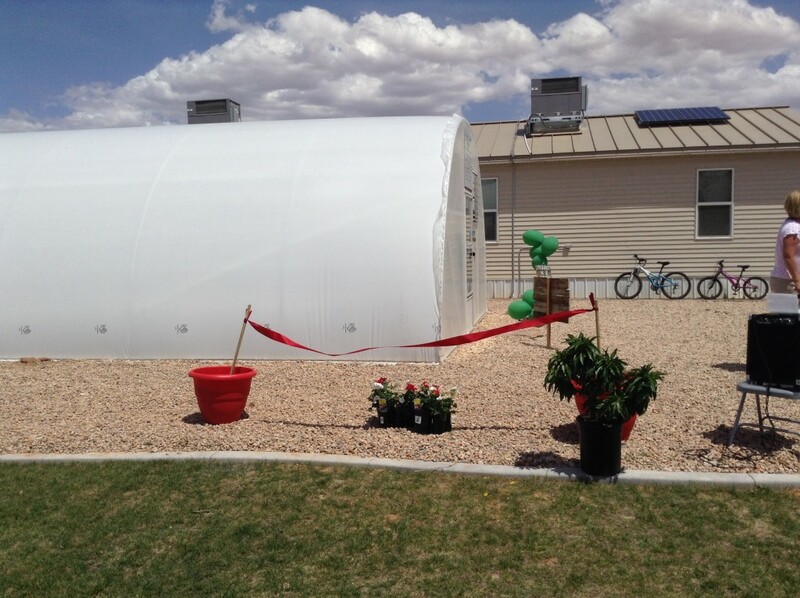 ST. GEORGE – The school year is almost over but that didn’t stop staff and students at Crimson View Elementary School from going “green” for science as they celebrated the official opening of their new greenhouse Wednesday afternoon. 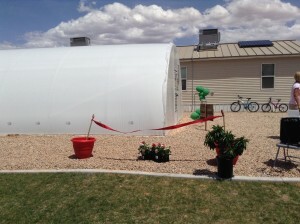 Funded by a $46,000 STEMlink Grant awarded to the school by the Utah Department of Workforce Services and written by the school’s staff developer, Tiffany Porter, the greenhouse uses state-of-the-art, environmentally friendly methods to heat, cool and power the building as well as to nurture and grow the plants. Crimson View Elementary is recognized as a school that focuses on science, technology, engineering and math; that is, a STEM school. Already strong in areas of math and technology – the school has a one-to-one ratio of iPads to students, Porter said – the greenhouse was built to increase their efforts in the science and engineering curricula. 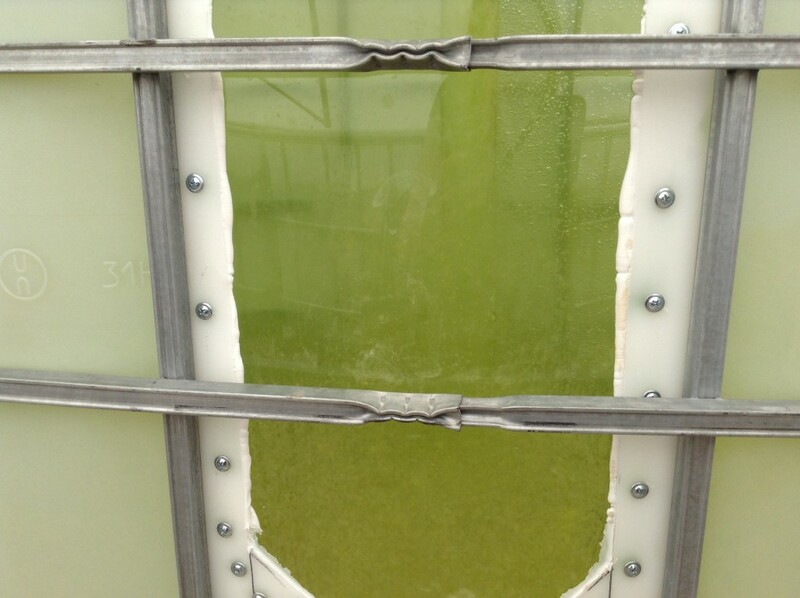 One of the most unique features of the greenhouse and the students’ favorite, Porter said, is the way in which plants in the greenhouse receive their nutrients and grow. 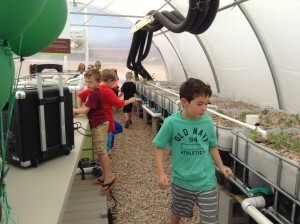 Crimson View’s greenhouse is equipped with four large fish tanks as well as several large, pebble filled tanks – in which the seeds are sprinkled – that are used in a process called aquaponics. 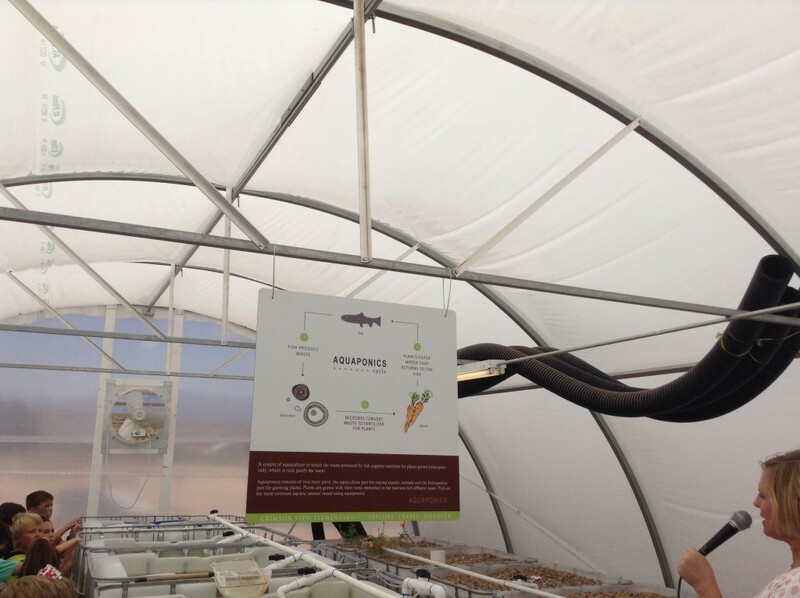 It is the marriage of aquaculture (raising fish) and hydroponics (the soil-less growing of plants) that grows fish and plants together in one integrated system. 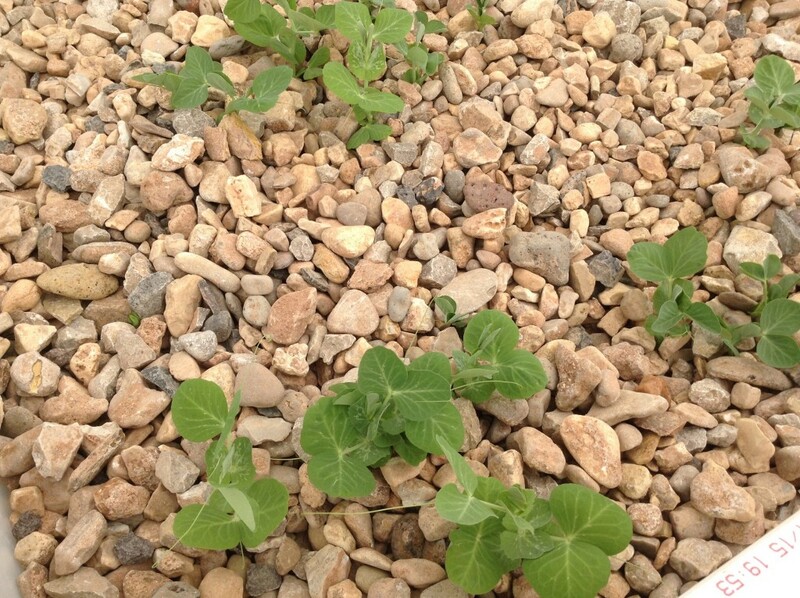 The fish waste provides an organic food source for the growing plants and the plants provide a natural filter for the water the fish live in. Porter explained the process to Mrs. Rindlisbacher’s first grade class in more simple terms. 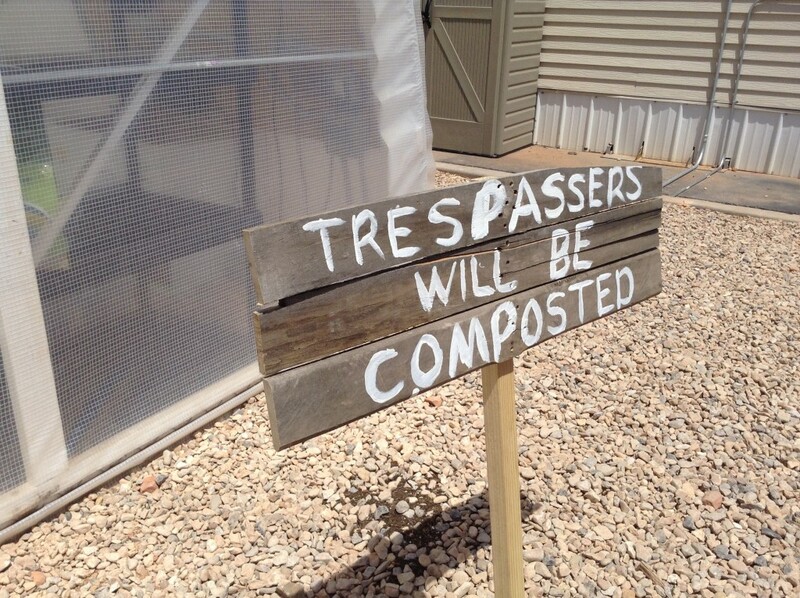 Rindlisbacher’s class has been writing a book following the greenhouse’s progress from the time the school received the grant money in August of 2014 until its completion. 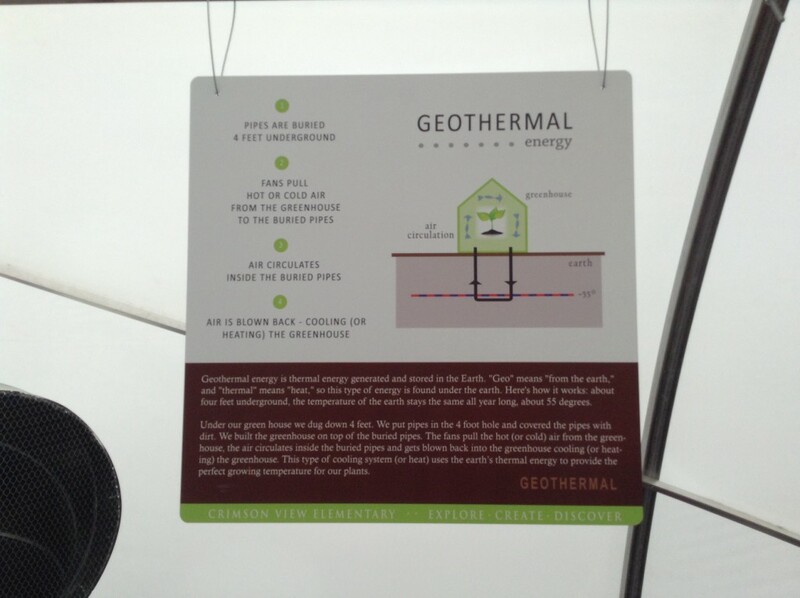 The greenhouse is also unique in that it is heated and cooled with geothermal energy; meaning the energy is generated and stored in the earth. 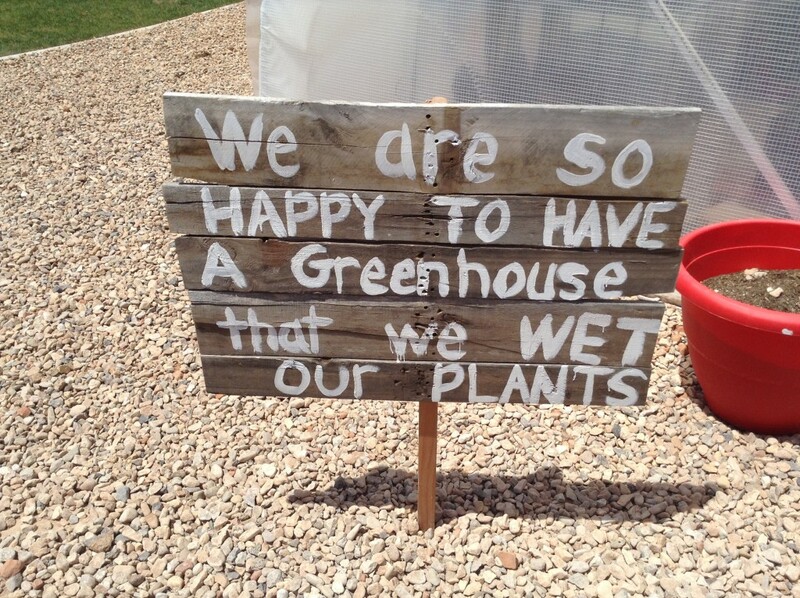 A sign hanging in the greenhouse details the process of how the air is pulled from the greenhouse, circulated through pipes buried 4 feet underground and then blown back into the greenhouse cooling or heating the inside. 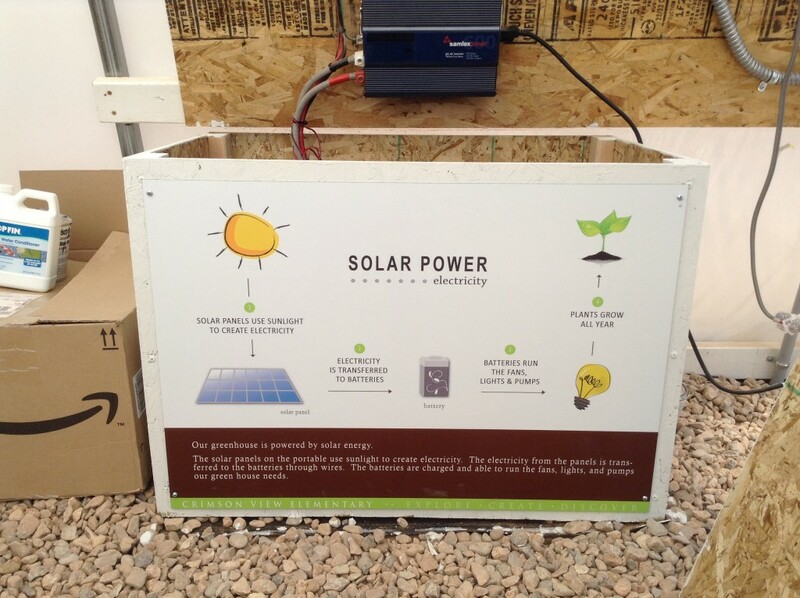 Additionally, electricity used to run the lights, fans and pumps for the greenhouse’s sytems is powered by solar energy. 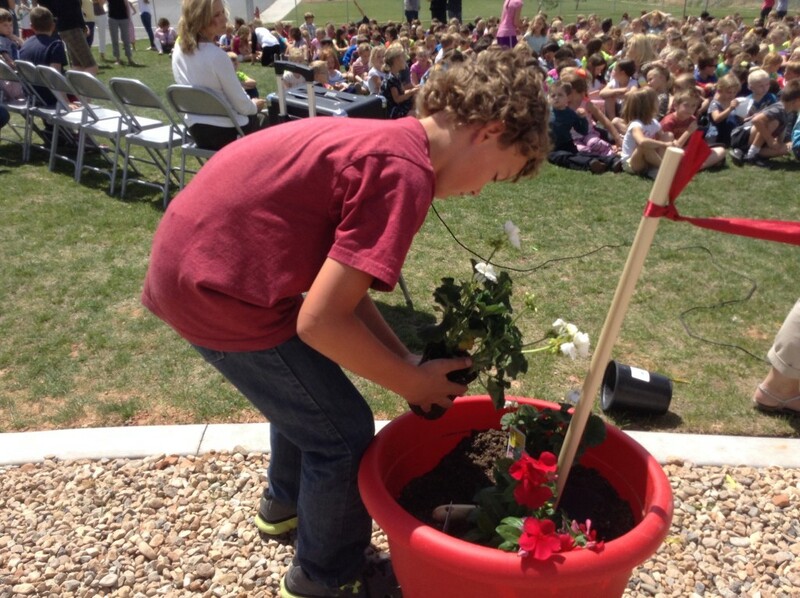 At the official ribbon cutting on Wednesday students had the opportunity to put the scientific method to work by measuring a small nectarine tree set to be nurtured in the greenhouse and then estimating, or predicting, how tall it would grow during the students’ three month summer break. Students and staff were given tours of the greenhouse throughout the day Wednesday, which were met with excitement from both parties. The STEMlink grant which funded the greenhouse also provided a weather station and science kits for the classrooms, Porter said.